Waterfront living at its finest! Looking for a amazing waterfront home w/ a gorgeous view, a private location, private dock & lift, one story floorplan, swimming pool, herb garden, outdoor kitchen & ALL the finest upgraded amenities throughout the entire home...THIS IS IT! This home has 4 bedrooms, 3 full baths, a separate dining room & living room & a Conservatory. The kitchen is top of the line including the granite countertops, white solid wood cabinets w/ 3" crown molding, corbal finishes, a pass through bar w/ glass cabinets, gas cooktop & a convection/microwave oven. The mitered glass corner window in the breakfast room over looks the pool. Both rooms have chair rail paneling that is a beadboard. The volume ceilings compliment the solid 8 ft interior doors as well as the beadboard coffered ceilings. Plantation shutters, decorative fans & light fixtures, home entertainment system..the 2 way fireplace is surround by custom built book cases. Flooring includes hardwood, ceramic tile & carpet in the bedrooms. All the bathrooms have granite countertops & upgraded fixtures. The 2 sets of double French doors lead out to the pool area where you will find an expanded deck w/ integrated landscaping, water feature, an outdoor kitchen including stainless steel wet bar, refrigerator, built in grill, bar & covered patio. Pre-wired for a home stand by generator. Everything has been thought of & included in this gorgeous waterfront coastal home! 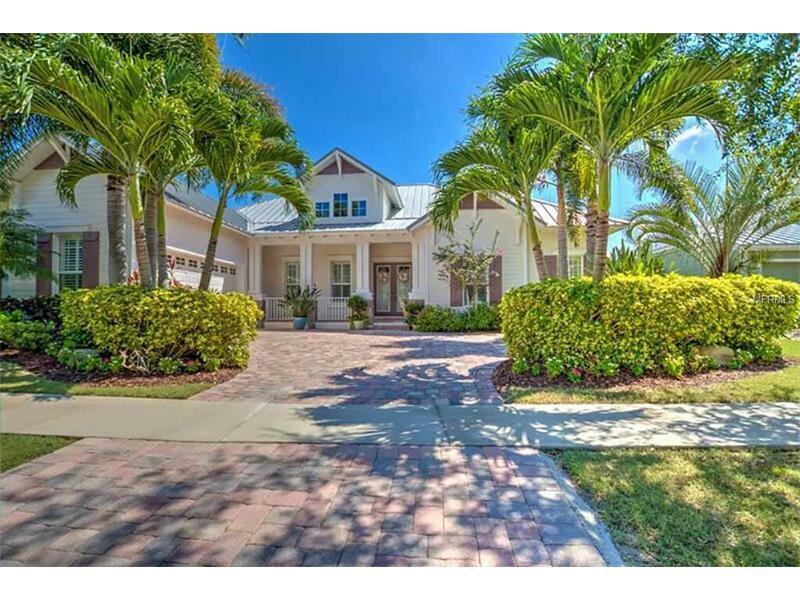 Located in MiraBay, a coastal waterfront neighborhood! Additional Water Information: Fresh water lagoon aids with Boat salt water flushing easy access thru rock. Pet Restrictions: Lease law observance.